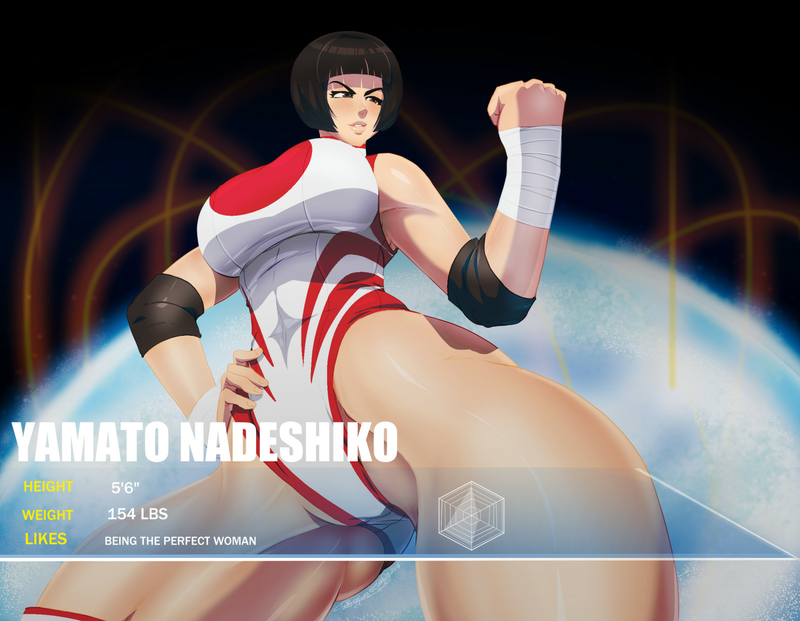 Yamato Nadeshiko "The Perfect Woman"
Copy/post your female wrestlers here so that people know she is open to doing intergender matches. Yamato took up wrestling on a whim with a friend during high school. The two registered at a local gym and learned the basics sparring together and learning all about the squared circle. 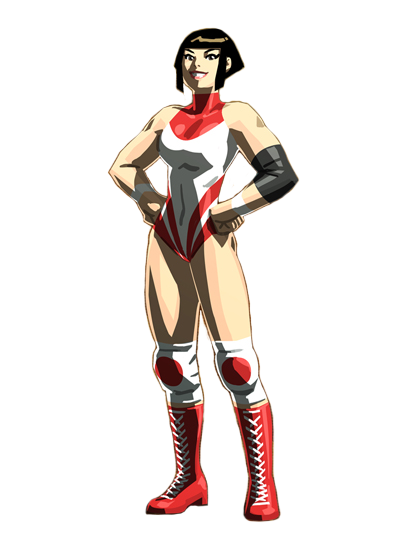 When it came time to apply for college, Yamato decided that she could make good on all she learned by taking her talents in the ring to several indie promotions around Japan. The Japanese native discovered her natural affinity as a high flier while continuing to hone her skills in different rings throughout Japan. With her aerial prowess and strong foundation, she was able to stand out and achieve success in smaller companies across multiple regions. Her escapades and success in each of them eventually led her to finding her way towards LAW. Here she aims to prove herself as being a cut above the rest in the ring, and impressing her friends back home by making a small legacy at the promotion and bringing back the money and notoriety to show for it! Yamato was easygoing and carefree in high school. But ever since beginning her career as a wrestler, her ability to back up what she says by performing in the ring has instilled within her an attitude that's cocky within reason. In her mind, she's a woman who's good at what she does. And she isn't afraid to make that very apparent until she's proven otherwise. Though she can be overly confident at times, Yamato is more than capable of being personable with others and being a down to earth, reasonable human being. She has a soft spot for her long time friend and old tag partner, Rainbow Mika. Yamato genuine affection and care for her friend leaves her unusually happy and bubbly around her. When not wrestling, Yamato can typically be found indulging in tea, shopping, and working out. Last edited by winner3 on Tue Sep 04, 2018 5:42 pm, edited 4 times in total. Re: Yamato Nadeshiko "The Perfect Woman"
A Pleasant Reunion. - Through sheer happenstance, Yamato meets her fated tag partner in the backstage area - Rainbow Mika. Yamato Nadeshiko vs Melody Serperior (Middleweight Qualifier) - The Perfect Woman begins going for the gold from her debut match! Yamato takes on Melody Serperior in a spirited contest to qualify for entry into the Middleweight Championship Tournament! Last edited by winner3 on Thu Dec 28, 2017 4:23 am, edited 1 time in total. A story of 2 Claras!